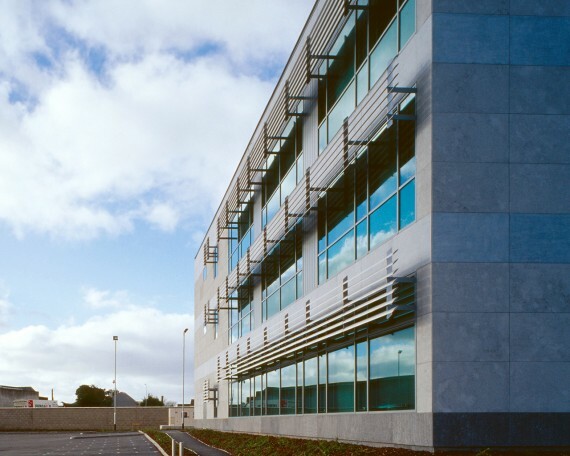 The project was procured as a PPP based architectural / developer competition using Urban Renewal tax incentives. 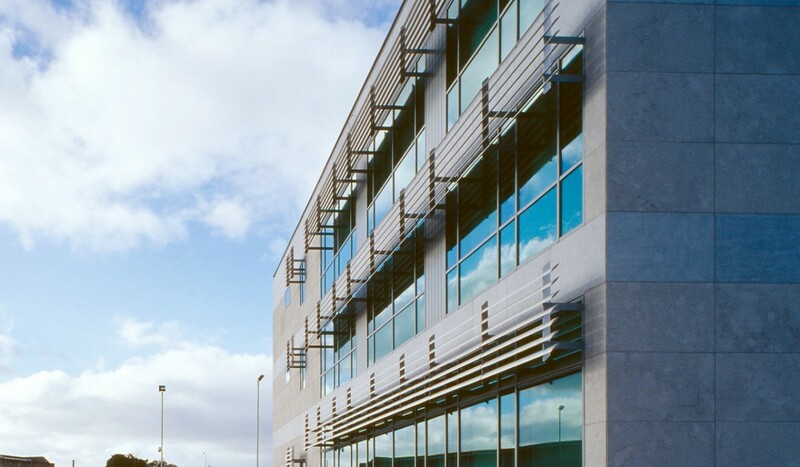 This is a three storey office building comprising of 2600 sq.m which is linked to the existing County Hall in the centre of Portlaoise via a single storey glazed corridor with staff restaurant. 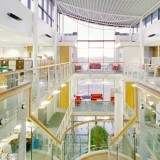 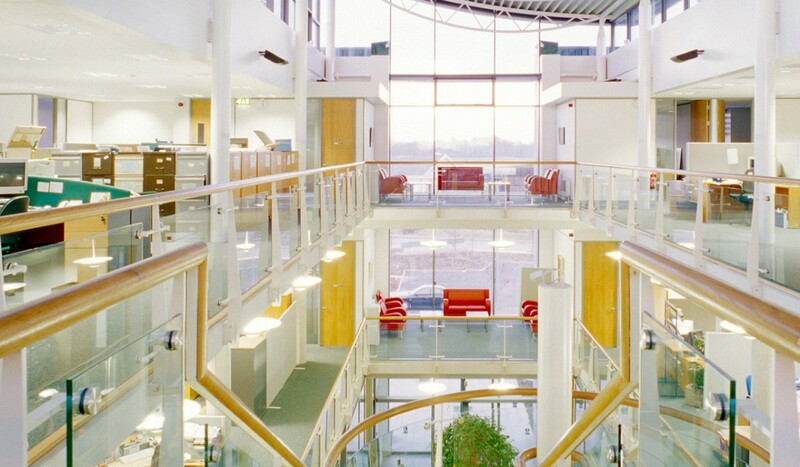 Office space is in two wings divided by an open 3 storey atrium with stairs, tree planting and breakout areas for council officials at each level. 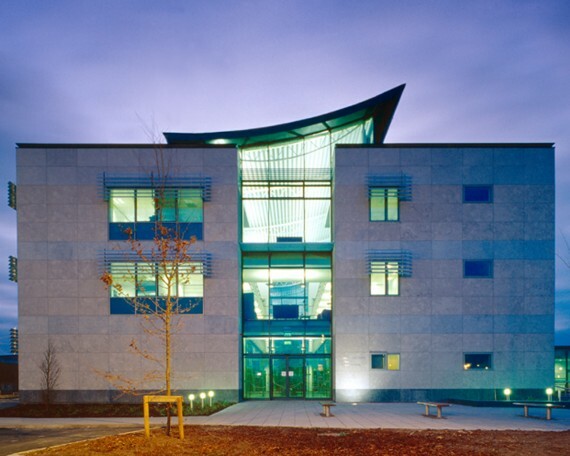 The building is clad with a combination of native limestones and has a distinctive bow shaped roof over the atrium. 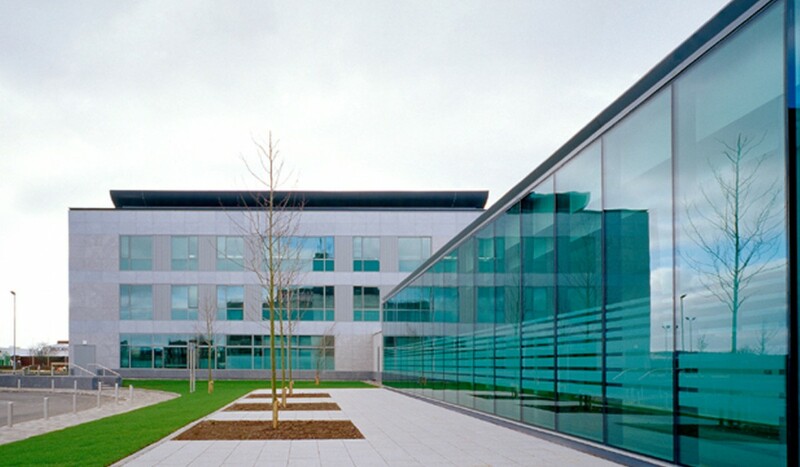 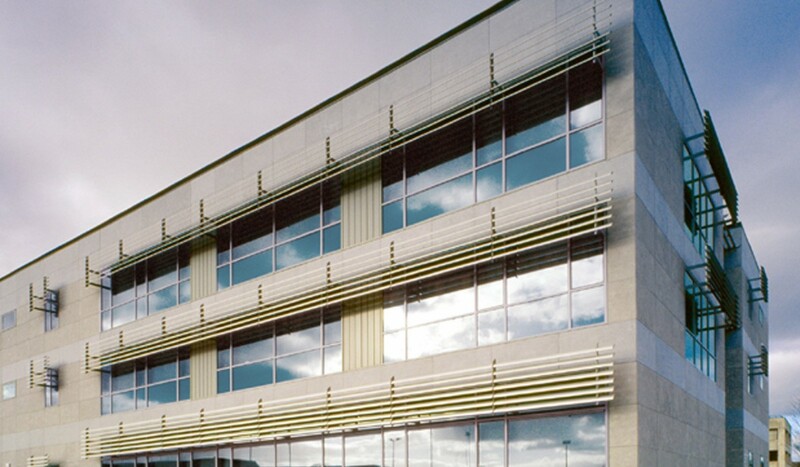 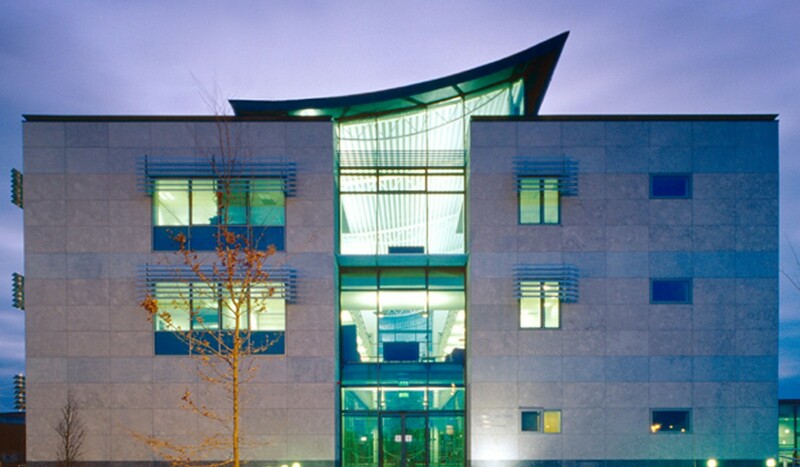 The building received funding from Sustainable Energy Ireland under its Public Sector Programme for Energy Efficiency in the Built Environment and incorporates solar heating panels, passive ventilation to all office areas, brise soleil and K glass.